She never meant for it to go this far. The whole thing began in innocence, I suppose it often does though. The road to hell is paved with good intentions, right? She just thought she needed something, something more, something else . . . She felt selfish at the thought of it, but the feelings of need and desire only intensified with the passage of time. The more she tried to quell her longings the more they grew until the intensity was too much to bear and she gave in. It wasn’t the first time. She knew too well how it could all end. She began to steal moments in the day while the family she loved was away to feed her hunger, to satiate the desire that burned within, and for a long while she was satisfied. She felt no true remorse; no one knew what she did during those fleeting moments in the light of the afternoon sun. What they don’t know couldn’t possibly hurt them right? Soon though, it wasn’t enough. She began to take chances. Late into the night when she was certain her love was sleeping sound, she would sneak from their bed for a midnight rendezvous. The old flame had been rekindled within her and once again she felt the rush only secrecy can hold. She began to grow careless, every so often a giggle would escape and float down the hall, she hoped the closed door would spare her husband the sound of it. It was only in those moments she felt the slightest twinge of guilt, knowing what she was doing was wrong. Knowing when the morning came she would be weary and the day would be long, but the thought of what the night held for her was stronger than those moments of guilt. Days, weeks, months went by before she realized something was wrong. She had no idea she’d woken her husband with her carelessness many times. She had no way of knowing how many nights he spent, listening through the door, wondering what he should do. He made the decision to confront her, to catch her in the act. When the night came, he kissed her sweetly and whispered his love to her. He closed his eyes and feigned sleep until she slowly slid out of the bed, tiptoed across the room and quietly closed the door behind her. He waited. Patiently, giving her enough time to begin doing what she had snuck out to do. He slowly opened the door just as quietly as she had closed it and made his way down the hall until he could see her shadow, glowing in a soft, flickering light. His heart sunk. It all made sense now. The tired mornings, the hastily prepared meals and earlier bedtimes . . . All of her energy was devoted to the night, he wasn’t going to lose her to this . . . thief. No, he would not be robbed of his precious wife, not again. He was going to save her, just as he had done before. He approached her; gently placing his hand upon her shoulder. She jumped and tears began to fall when her eyes met his. “Why?” is all he could manage to say. She hadn’t an answer to give, not one that could make him understand. In that moment she realized she was tired. So very, very tired. She looked into his bloodshot eyes and softly said she was sorry. He knew she was. He motioned to the object of her obsession and she knew what she had to do. She reached her shaking hand forward, gently moving the mouse until the arrow was atop the ‘shut down’ button. The screen seemed to beg her not to, but she had to. She knew she had to. She closed her eyes and did it. The click of the button was deafening as the room went dark. She took her husband’s outreached hand and followed him back to bed. She closed her eyes and slept. It was a beautiful sleep. 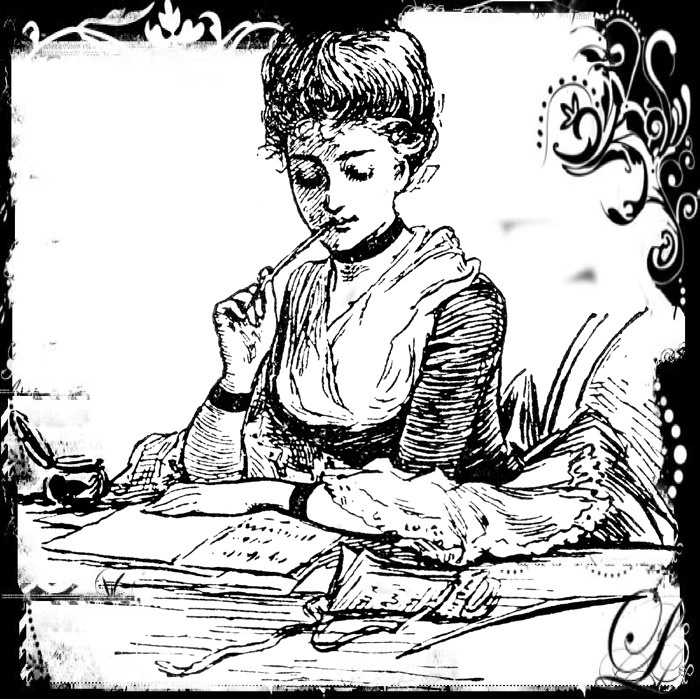 She dreamed of writing and blogging and Facebook and Pinterest, of all they to offer, the freedom to express herself, the joys of acknowledgment, the recipes, the silly cat videos, the motivational sayings . . . they were always there for her. Now there would be no more midnight visits to the vast world of point and click. She awoke the next day, refreshed and ready to take on the world. She stared at the computer, remembering an email she was waiting for. She didn’t think it would hurt to quickly check. The minutes passed quickly, the hours even faster. Her husband came home and found her wide-eyed, fingers flying across the keyboard. He had been beat. He decided to give up. He ordered pizza for the kids, gently kissed her forehead as if to say he understood. She didn’t even know he had come home. Amazing Instant Novelist . . .Does anyone remember this? I stumbled across an old memory today on Pinterest, check out these archived screenshots of my old haunt – The former AOL site was the brainchild of Dan Hurley, the original 60 second novelist, you can check out his book here on GoodReads. Amazing Instant Novelist was affiliated with Chicken Soup for the Soul, it was filled with message boards for writers and readers alike. I found the site in 1997 and was hooked. I read and I wrote and I became part of my very first cyber family there. There were contests and prizes and tons of camaraderie, it was, for lack of a better word, fantabulous. It wasn’t long before I was asked to join the ranks as NovlQwiet, and became one of their volunteer admins. I was rather brokenhearted when the site was acquired by some other entity and faded from existence. I still miss it to be honest. The years I spent there are treasured. It was there I realized I had something to offer, something I didn’t need to keep to myself, buried in notebooks and journals . . . my words. They read them, they picked them up and they displayed them; they valued them. I was encouraged and applauded and it was good. So good. I’d never been in the company of other writers, I wasn’t even certain I was one of them until they assured me I was. The other Novls embraced me, the writers who came there to write respected me, and the readers who simply came there to read uplifted me. It was kind of a beautiful thing and I’ll always, always be thankful I was a part of it. 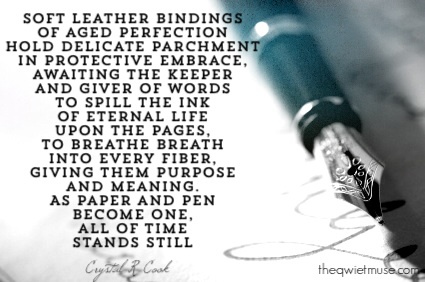 It makes my heart smile when someone reads the words I pen and they resonate with them in some way. I feel blessed when they respond, when I realize the message I intended to convey came across as I’d hoped it would. Often, I write to share a truth or an insight I’ve gleaned at some point in my life. If it taught me something, perhaps it can do the same for someone else, or at the very least, validate a truth of their own or set them on a path they may not have known was there. There is something important I wish to impart when it comes to what I give to the page, I am not necessarily going through what I write of in the exact moment I write of it, sometimes, but not always. A writer’s mind, at least my mind, does not completely maintain a foothold in the here and now. The ebb and flow of my stream of consciousness is forever churning and changing direction, my thoughts rushing in as raging rapids or as gently trickling droplets. I can think a thought or experience a moment of epiphany about depression or anger or grief during the happiest of times, sometimes I share these thoughts because I still need to learn something from them or simply set in stone what has already been cultivated from the garden of my experience. I share these thoughts in the hope someone may need to hear what I have to say. Writers can also be a wee bit melodramatic — I once wrote two agonizing pages about fear, anxiety, and what was lurking in the shadows just waiting to get me. In actuality, I was in the park on a sunny afternoon watching my children frolic, yes they frolicked, and when I looked down I noticed an eensy weensy spider coming toward me at a speed which made me slightly less than comfortable; it startled me. I went with it. I didn’t have any curds and whey, so I ran with the whole deepest, darkest fear thing. There are times I write of lessons learned long ago and my words may convey a sense of the now, when in fact, I have long since moved past that moment. I do this for those who may need to hear it in the now and might relate. I do this because it is a part of my story, it is how I felt, who I am, and how I came to be. Sometimes I find a few scribbled words scratched upon a crumpled piece of paper I’ve left between the pages of a book, something I once wanted to write, but somehow forgot about, and it all comes back to me, begging to be set free and given its say. I almost always oblige it. I can travel my own timeline as a silent observer, I take notes and create a written history of the events, the feelings . . . I capture them and breathe life back into them so none of it is forgotten or experienced in vain. Everything I write is a truth, it may be an old truth realized and finally made tangible in print. It may be something I hadn’t felt the need to share just yet, or perhaps I was simply waiting for the right words to find me. Maybe those words were just waiting for the right person to share them with. W.A. – It affects you, I guarantee it. an unusually and unnecessarily large collection of writing instruments. an over abundant supply of paper, notebooks, journals, etc..
overflowing bookshelves, the compulsion to buy books even when you have unread stacks of them next to your bed, couch, and kitchen table. an overwhelming compulsion to blog, read blogs, and comment on blogs. WA is a newly recognized and widespread epidemic of addiction affecting people around the globe. This affliction has silently consumed lives for centuries, some may argue it is a harmless addiction, though many have been known to suffer from co-morbid conditions such as alcohol and caffeine abuse. Negative side effects include insomnia, malnourishment, and social deficits. Family members of those living with WA have reported episodes of withdrawal, lack of spontaneity, decreased desire to engage in family activities, lack of personal care, and sustained periods of restlessness in those diagnosed. Currently, the typical diagnostic criteria used to determine addiction is not apparent in all cases, many go unrecognized by the medical and psychiatric communities leading to a majority of cases being diagnosed by family members. Many of those with WA are self diagnosed. 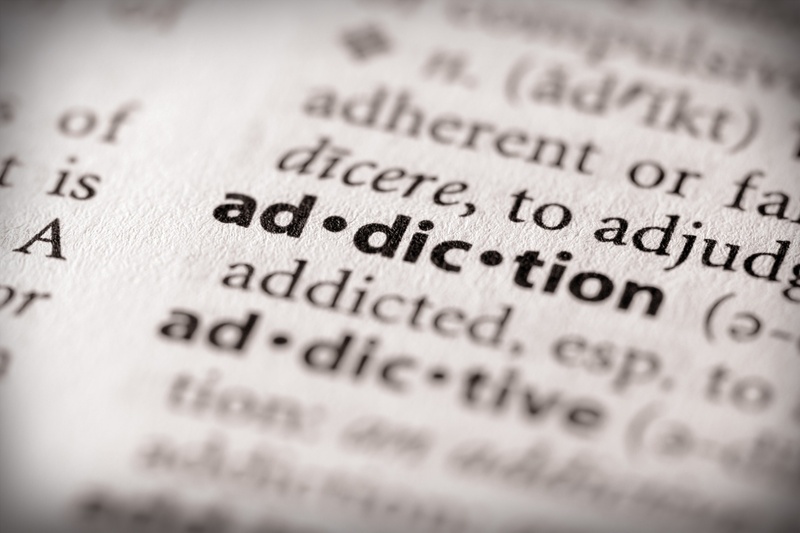 In many instances you may hear it referred to as a syndrome in lieu of an addiction. A majority of those with WA do not see it as an addiction, they believe they were born with WA. Popular theory and current research suggests there may be a genetic component involved. Since the diagnostic criterium for addiction is not always met, WA, also known as Writing Addiction, or Writing Syndrome, is often a diagnosis of exclusion, meaning you know your addicted if you’ve excluded everything else in life aside from the written word. In fact, if you are reading this you may have one of two very real addictions, perhaps even both. If you are reading simply because you must read you more than likely have RA, Reading Addiction. If you are reading this and already thinking of what to write about it, it’s safe to say you are a Writing addict. If you are reading this out of sheer compulsion AND thinking of what to write, you are not alone, a majority of those diagnosed carry a dual diagnosis referred to as RAWA, Reading and Writing Addiction. There is no shame. Writing addiction is not something you plan. 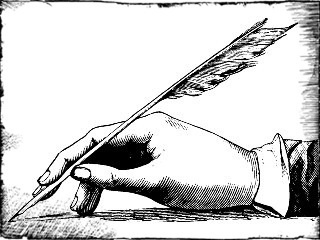 It is an all-encompassing desire, the more you write the more you need to write. Like most addictions, it begins to consume you. At first it’s just jotting things down now and then, a bit of poetry here, a little prose there and soon you’re writing stories and sonnets and epic works of words late into the night. It’s a secret addiction in the beginning, harmless to most. 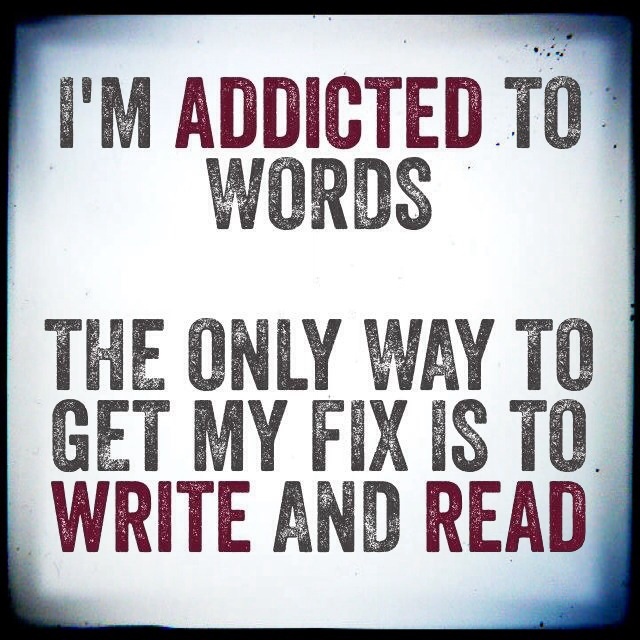 Writing addicts typically start in their spare time. It doesn’t take long until spare time is no longer enough; it begins to creep into their day. When you’re supposed to be doing bills an idea will hit and next thing you know you’ve written half a chapter on the back of your electric bill. It doesn’t end there. Dinners get burned, kids are late for school, laundry piles up and you forget to feed the dogs, you write about it though. Hungry Dogs, a Tale of Sad Tails. When it first begins it’s easy to hide, but soon you get careless and scraps of paper litter the countertops and the dressers, notebooks and journals are in every room of the house. Your desktop is filled with papers and coffee cups. Oh yes, coffee cups. Once the addiction has you in its clutches you forego nourishment for a good old Cup-o-Joe to keep you going. Snack foods sustain life. By the time family and friends see the signs it’s too late. No one says anything until you arrive at school in the afternoon to pick up your children wearing yesterday’s pajamas. By the time anyone suspects there is a problem it’s already too late. Sure, they can hold interventions; they can beg and plead, but the need to write simply cannot be overcome. Once you have it, you have it for life. Eventually those who love you will accept the reality of your life. You are a writer. There isn’t much you can do for someone with writing addiction except accept them and love them just as you did before they picked up a pen. As previously mentioned, in some cases it appears to be genetic; many children of writing addicts are themselves addicts by the time they reach puberty. The same can be said for the offspring of reading addicts. There has yet to be a cure, its doubtful there ever will be. I myself am a reading and writing addict. It began when I took my first breath, my family has tried to put an end to it, but they’ve never succeeded. They’ve never even come close. They know I will write about them if they push it too far. Do they think I don’t know casserole will burn if I don’t stop writing long enough to take it out of the oven? I mean seriously, why else would I keep a fire extinguisher at my desk. I’m one step ahead them. In conclusion, writing can in fact, be an addiction. There is no way to know who will become a slave to the written word. There is no way to stop it once it has begun. I suppose those of us with writing addiction are enabling the reading addicts among us, they can’t get enough of what we do . . . but then, are they not in a sense encouraging our own addiction to writing? And what of those of us with the dual addiction, we are our own worst enemy and best friend; it is a vicious circle, one with no end. If a cure is ever found I’m heading for the hills. I wonder if I can get high-speed Internet service up there . . . no matter, paper, pens and solitude is all I need to feed the hunger. No twelve step programs for me, I’ll write one for anyone who wishes to work through their beautiful addiction though, not that anyone would. Resurrected to share for the blog share learn linky party!